WIN A SPECIAL EASTER EGG SURPRISE! 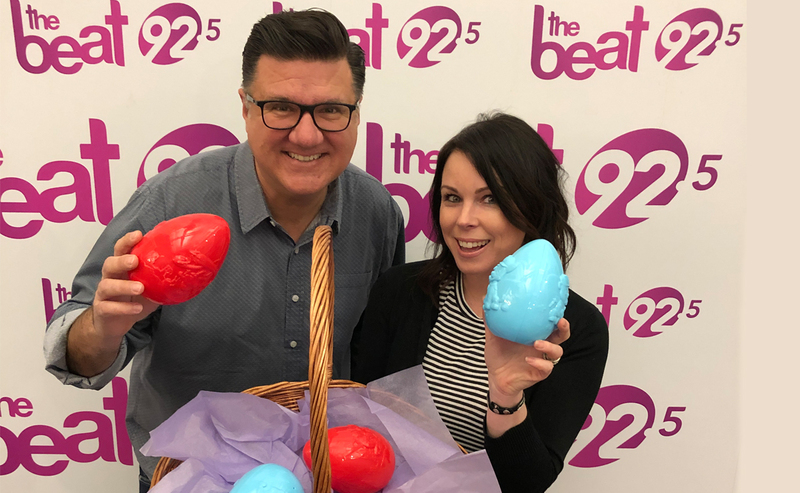 From Monday to Thursday, listen to the Beat’s TOP 5 @ 5 with Cat Spencer and Claudia Marques for a chance to WIN A SPECIAL EASTER EGG SURPRISE! Each day, Cat and Claudia will open an Easter egg with a PRIZE INSIDE!